It’s 1917. 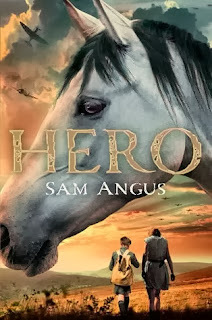 In the trenches of France, miles from home, Stanley is a boy fighting a man’s war. He is a dog handler, whose dog must be so loyal that he will cross no-man’s-land alone under heavy fire to return to Stanley’s side, carrying a message that could save countless lives. But this journey is fraught with danger, and only the bravest will survive. As the fighting escalates and Stanley experiences the true horror of war, he comes to realize that the loyalty of his dog is the only thing he can rely on. . . I was born in Italy, grew up in France and Spain and was educated rather haphazardly in most of these countries, at many different schools. I was asked to leave at least one school. I studied English Literature at Trinity College, Cambridge where I kept a dog until he was discovered being smuggled out of college in a laundry basket. So I was summoned and asked to leave Cambridge too. Unless the dog left, in which case I might stay. I taught A level English before spending a decade in the fashion industry and now write full time. I live between Exmoor and London with improvident numbers of children, dogs and horses. Soldier Dog is a beautiful story. Great one to share as it is the anniversary of the First World War. I love it because it involves pets. I'm a pet lover myself. Both books sound really good, and I like them because they both take place during a war and also involve animals. The historical period - most interesting. 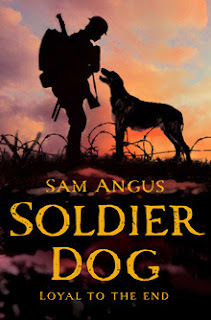 I'm intrigued by the WWI setting of Soldier Dog. It seems that most war novels for young readers are about WWII, and I'm kind of burnt out on that time period. I like that the setting and the animal part. Soldier Dog is the simple yet perfect example of loyality and friendship between a man and his dog and the fact that the novel is set during WWI makes me like it even more!